I’ve been pretty good for the month of January, eating mostly healthy or healthier foods. But now that January is over, it’s time for COOKIES!!! 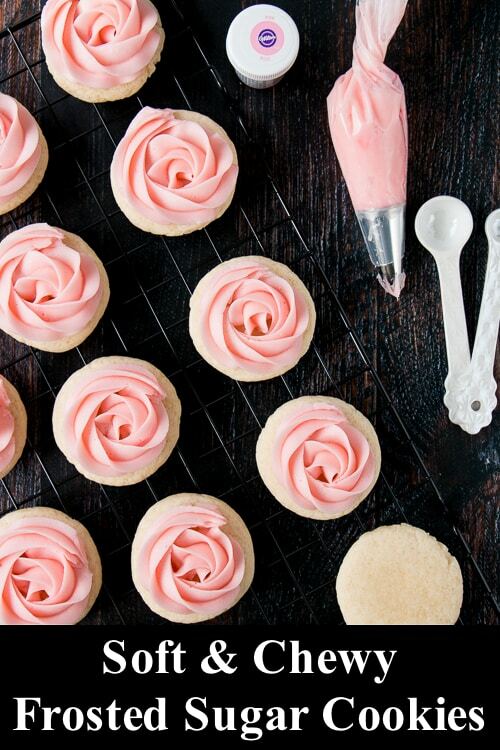 And what’s more fun than a thick sugar cookie topped with a soft-creamy frosting? I can’t think of anything. 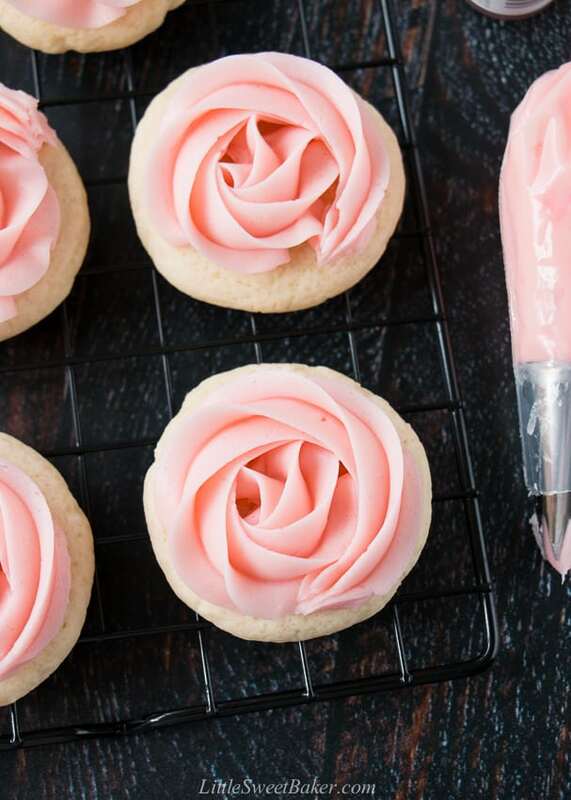 Also, with Valentine’s around the corner, I decided to dress my cookies with pink roses. This recipe starts with creaming together some butter and sugar. Once the butter-sugar mixture is light and fluffy, you add in one whole egg, and one egg yolk for chewiness. Then you mix in some sour cream, which not only helps make these cookies soft, but also adds a little tang to balance the richness. There is vanilla extract and a bit of almond extract added to the wet ingredients as well. To me, almond extract is the key to a good sugar cookie. Without it, all you taste is the butter and sweetness. With it, it balances the overall flavor profile of the cookie, tones down the sweetness, and adds a very subtle marzipan-like taste. These sugar cookies stay soft and chewy for days. 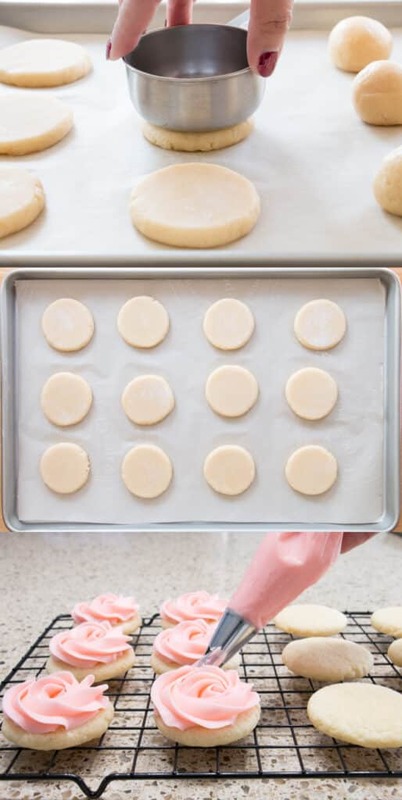 The frosted cookies can be stored at room temperature for up to three days, in the fridge for up to a week, or in the freezer for up to a month. 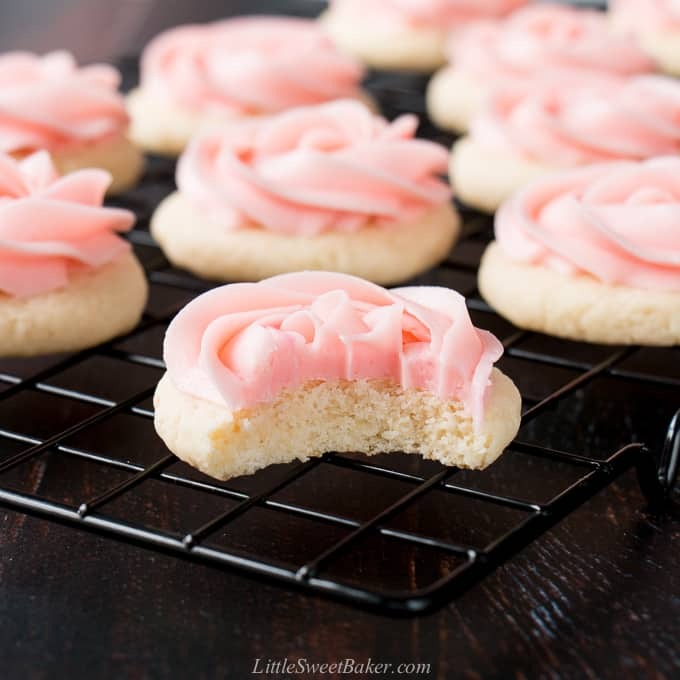 To freeze the frosted cookies, place them on a tray or cookie sheet in a single layer, and place in the freezer. Once frozen solid, you can stack them with a sheet of wax paper in between in a freezer-safe container. 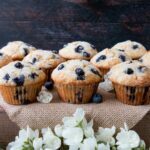 To thaw, place them in a single layer in a plastic container on the counter overnight or until they reach room temperature. 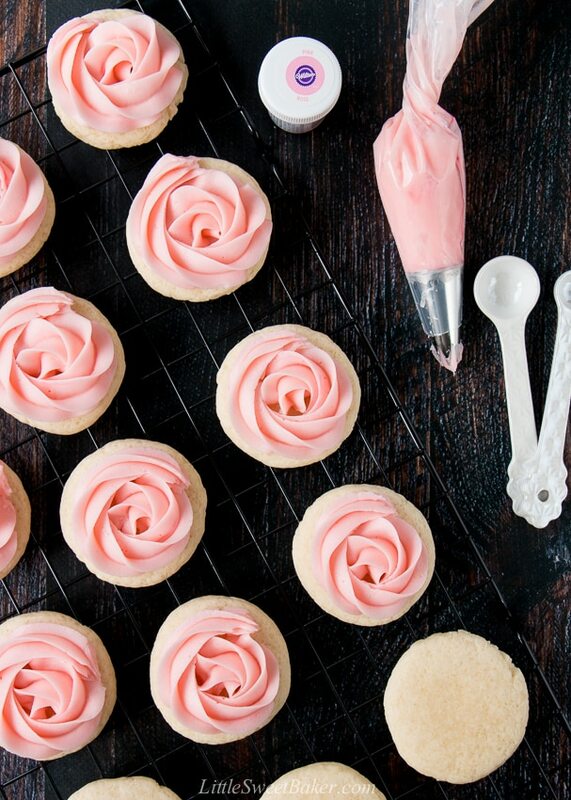 These frosted sugar cookies are soft and chewy with a rich-buttery taste. 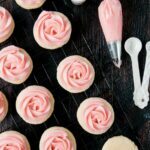 The cookie itself is not overly sweet which makes it perfect with the buttercream frosting. 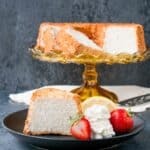 The frosting is smooth and creamy with a lovely vanilla taste. 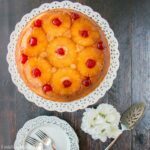 Recipe adapted from Sugar Spun Run.